We started Hidden Gems annual subscription in late 2010 followed by other services like Value Picks, 15% @ 90 Days and Wealth-Builder, today we have a strong subscriber base covering almost all major states in India and from 20 other countries across globe. During the last 8 years we have interacted with several investors seeking multibagger return from stocks. Cera Sanitaryware touched its life time high of Rs 3918 in January 2018, post severe correction in small and mid cap stocks over last 15 months, stock is down by -28% and is at Rs. 2809 today. Even after such a correction in stock price, Cera Sanitaryware is a 18-Bagger stock giving as on date returns of 1690% in 7 years from our initial recommendation and 525% return from our reiterated buy at Rs. 450, which was not liked by our subscribers. Lets try to understand this with an example, Tide Water Oil share price was Rs. 1450 on 1st Jan'12 (stock split and bonus issue adjusted price, actual price was 5800). Today the stock price is at Rs. 5051 giving absolute returns of 248% i.e. 3.5 times in 7 years against double digit return of Sensex in the same period. We suggested Buy on Tide Water Oil and many of our subscribers might not have invested in it thinking that they can buy hardly 2 shares by investing Rs. 12,000 but now those 2 shares are actually 8 shares post stock split and issue of bonus share and share price is near the recommended price. Lets try to understand this also with a simple example, Lanco Infratech was a well-known company from Infrastructure sector. At the beginning of 2010 the stock was around Rs 55. Now it is hovering at just Rs 0.42 and trading is suspended in the stock. 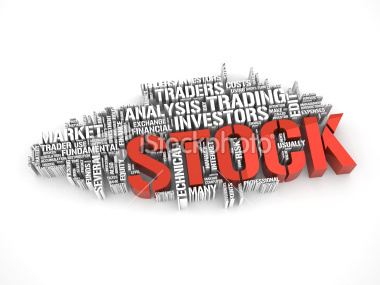 Those who purchased the stock during 2010 are in 99% loss! Rs. 1 lakh invested in Lanco Infratech in Jan 2010 is valued at merely Rs. 1,000 today, a complete wealth-destroyer! Isn't it? Those who bought this stock at levels of Rs. 30 and later again at Rs. 10 or Rs. 5 to average out thinking that stock has came down from all time highs of Rs. 85 are still waiting to get their buying price back. There are many such stocks like Suzlon Energy, GMR Infra, GVK Power and Infrastructure etc which have continuously destroyed wealth of investors over a period of last 6 to 9 years. Start building your equity portfolio by making educated investment decisions, subscribe to our Hidden Gems, Value Picks, Wealth-Builder annual subscription services. You can avail attractive discounts by subscribing to our combo packs. Below are the details of our annual subscription charges, simply click on SUBSCRIBE! link to subscribe to our services online using debit / credit card or net banking facility. Also Read: Are you Investing in Techno-Funda Stock of 2019? It's Free!